Happy belated birthday to this sweet boy who turned 3 years old this week! We are so hopeful that soon he will find a family of his own so he can be home on time for his next birthday. 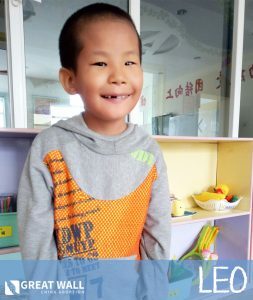 If you’re interested in reviewing Nash’s file or learning how you can be matched with him, contact GWCA’s China matching specialists or visit the Waiting Child photo listing today! 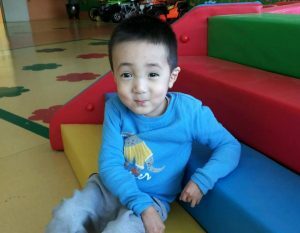 Nash is an adorable little boy from China that just turned 3 years old. He is described as a sweet little boy that adores his caregivers and gets along great with his peers! Nash has long, thin fingers and toes, but this doesn’t seem to really affect him that much! He can speak in simple sentences such as, walk by himself, and his fine motor skills are on par with his peers. Nash is able to tear paper, use his thumbs, etc. Nash is on the shyer side, but is definitely an active two year old. He loves playing with toys and dancing to music! If you would like to see other photos and videos of this little guy, contact GWCA today!